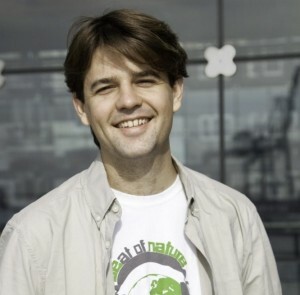 Andreas Sieber has worked for several NGOs and the Saxon State Chancellery in Germany. As part of the #Climatetracker project, Sieber attended the UNFCCC meetings which have just ended in Bonn. BONN, Sep 6 2015 (IPS) - Less than 100 days before the U.N. climate change conference (COP21) in Paris in December, there are now only few who believe that the conference will not produce a treaty. But for most countries involved, this is rarely the question. The key concern at this stage is: will a deal in Paris really shape climate justice and keep global warming below 2oC? An agreement in Paris will not be enough to keep to this target, but such a deal should at least offer a perspective for effective climate protection. This depends heavily on the process of creating a regular built-in review that would enable countries to improve the agreement made in Paris. The emission cuts which will be agreed in Paris will not be enough to reach the 2oC objective and this is where many NGOs say that a five-yearly “review and improve” process would come in, with the aim of making climate targets more ambitious over time and catching up with the pace of climate change. Last week in Bonn, formal negotiations ahead of COP 21 continued with little progress – while there was support for long-term goals, short-term commitments seemed to be far less popular. “There is long list of countries supporting a long-term goal for reducing emissions. But how much faith can we have in promises for 2050 or 2100? We need to focus on the substance to understand if the signal is real,” said Jaco du Toi, a policy expert from the World Wide Fund for Nature (WWF). However, some observers and diplomats appeared to believe that a long-term goal such as aiming for decarbonisation by 2050 or 2070 would bring everyone on the right track. Du Toi stressed that a long-term goal and short-term commitments are not contradictory. They are complementary, he said, and an effective climate treaty should contain both. A long-term goal would serve as a lighthouse on the way towards a clean future. However there is no point in having a lighthouse if you are not moving fast enough to reach your end – and only a short-term review mechanism would enable this. An agreement in Paris with short-term commitments and five-year cycles without a concrete long-term goal might not be perfect. It would lack a perspective beyond 2030, but it would enhance climate protection and greenhouse gas reduction in the next 15 years. On the other hand, an agreement with an ambitious long-term goal but no effective short-term measures would allow countries to fall far behind with their greenhouse gas reductions and many would just not be able to catch up after 2030. Ministers already agreed to review climate targets on a five-year basis in July. However, the formal negotiations in Bonn last week showed only little momentum for actually agreeing on such a mechanism. Climate talks need to catch up with events happening outside conference centres – sea levels are rising faster, storms are become stronger and more frequent, and the temperature is rising. Many expected the European Union to take the lead and promote short-term commitments in Bonn. However, it only announced a 10-year target and did not offer additional intermediate goals. Inside the European Union, Poland in particular is blocking more proactive short-term ambitions but other countries such Germany and the United Kingdom have also been surprisingly passive. There are only five more days of pre-negotiations left before the conference in Paris. It is time that the European Union once again becomes a key player in climate politics.